4 Beds 3 Baths 1 Partial Bath 3,666 Sq. ft. 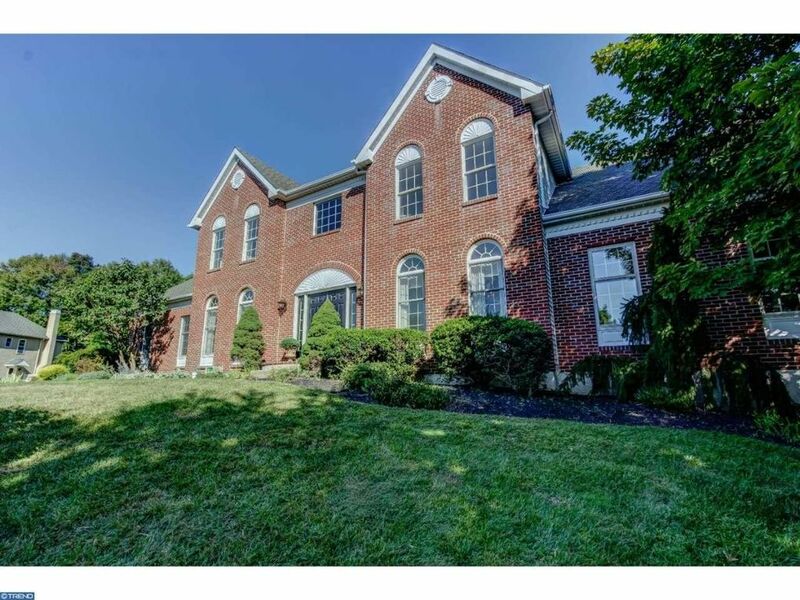 This easy-to-show, expansive 4 BD, 2.5 BA brick colonial is located on a quiet cul-de-sac with a very private rear yard in the popular neighborhood of Springton Point Estates. Gracious flow for formal entertaining with a dramatic 2-story Entrance Hall which opens to the Living Room and Dining Room. Enjoy relaxing, everyday casual living in the rear of the house, where the large Kitchen with granite counters and an large island and Breakfast Room flow into the sunny, vaulted Family Room which has a fireplace & wall of windows. A private Office/Playroom is located off the Family Room. A Laundry Room, Powder Room, large Pantry, and access to the 3-car attached Garage complete the 1st floor. The deluxe Master Bedroom suite includes a separate Sitting Room which is ideal for a 2nd office or exercise room. A long wall of closets provides copious storage and the neutral white tiled Master Bathroom has a whirlpool tub, separate shower and two vanities. 3 generously sized Hall Bedrooms share a Hall Bathroom. The full basement has tall ceilings and a large finished Rec Room, a separate Bonus Room, and large unfinished Storage/Utility Room. This home has very neutral d?cor and gleaming wood floors on both the 1st and 2nd floors. The Newtown Square location is very convenient ? near Rte 476 (the Blue Route), Rte 252 & Rte 3, corporate centers, parks, schools, shopping, restaurants, theaters, and only 20 mins from the Airport. Great Value!! !